During the Perseid meteor shower, I blogged a video of a bright meteor taken by astrophotographer Mel Gigg. He had shared the image fairly widely and soon others noticed that they had caught the exact same shooting star themselves. 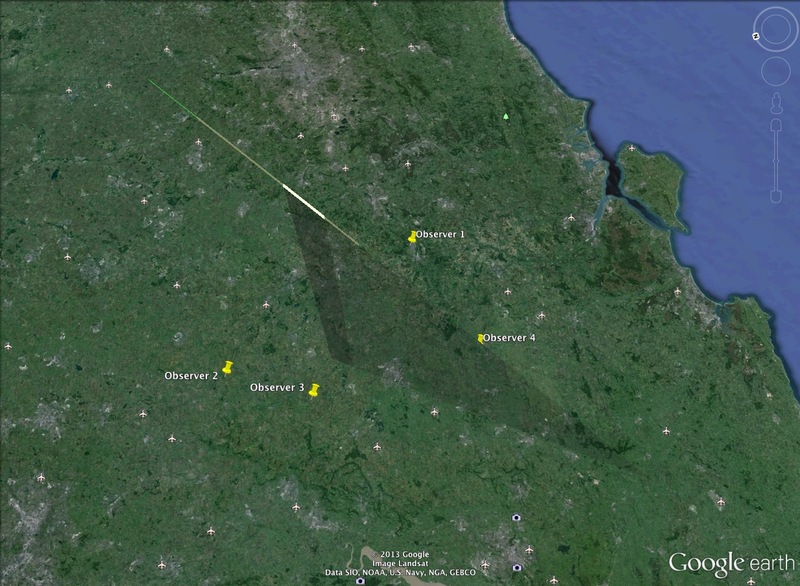 In fact four observers had caught the same object as it flew into the atmosphere above Southern England, three of them have shared their images online (Wayne Young, Mel Gigg and Steve Night). Look carefully and you’ll see that these images show the same streak of light but against drastically different star fields. That’s because meteors are high above the ground and visible across a large area. Due to the effect of parallax, they appear to shift relative to the night sky for different observers. In the extremes, an observer underneath the meteor, would see it go directly overhead, whereas others might see it from the side, where it would appear to fly nearer to the horizon. In this case it was seen by four people from different positions so they each had a different angle on the meteor and a different backdrop of stars. In a wonderful example of citizen science, Wayne Young (one of the four photographers) took the four images and the lat/long data of each observer’s location, and created a 3D model of this particular Perseid’s path. 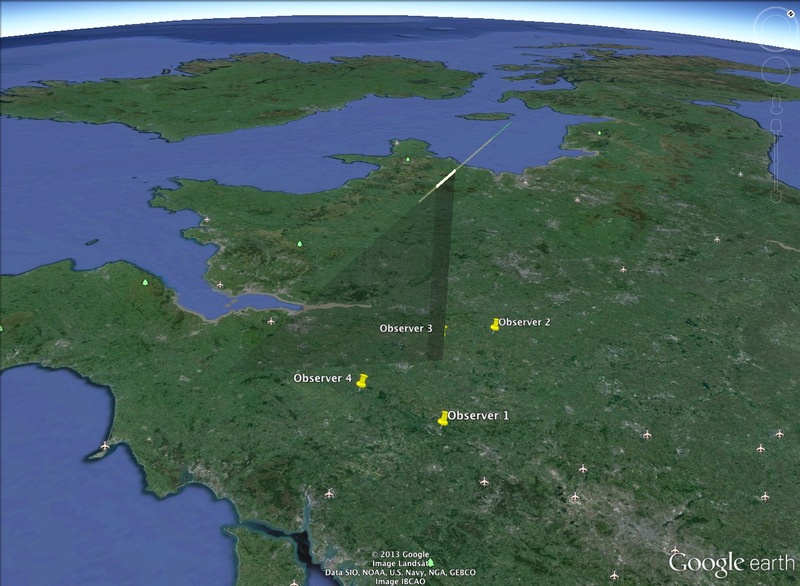 You can see it below modelled in Google Earth (KML file here). To create this he’s triangulated the path of the meteor by comparing each of the four images to one another. 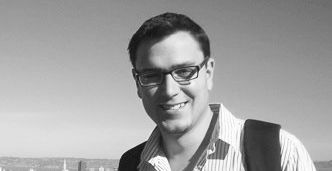 Given the capabilities of computer vision tools and astrometry.net, I wonder how much of this could be automated. It wouldn’t be hard to search Flickr for shooting stars seen at similar times and locations maybe we can scrape more trajectories automagically? This might be an ideal hack day project for .Astronomy. To plot many of these paths on top of each other would be interesting. 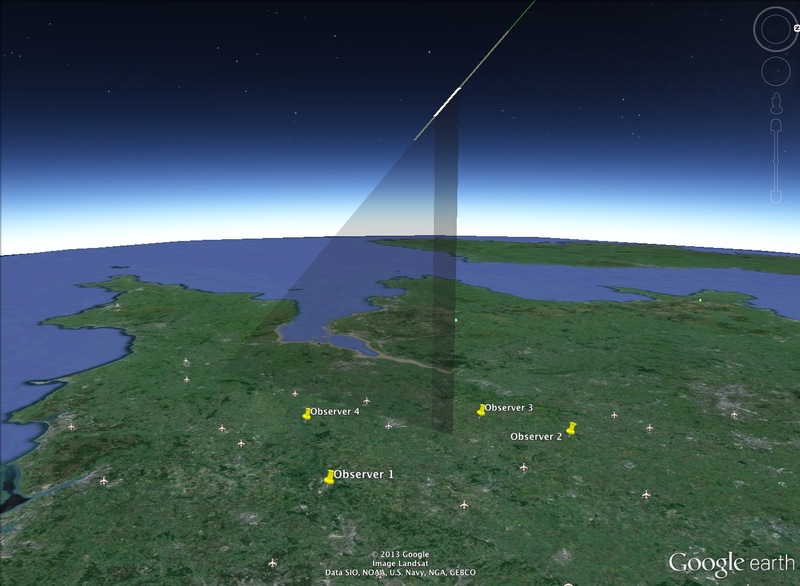 It’s fun to surmise that, given this Perseid’s path, it would have touched down in a field in North Devon. Good job it most likely disintegrated long before then.